This is quite sad but quite funny. It was commissioned by a local Indian cloth manufacturer, who wanted to pay his respects to the late Nelson Mandela. 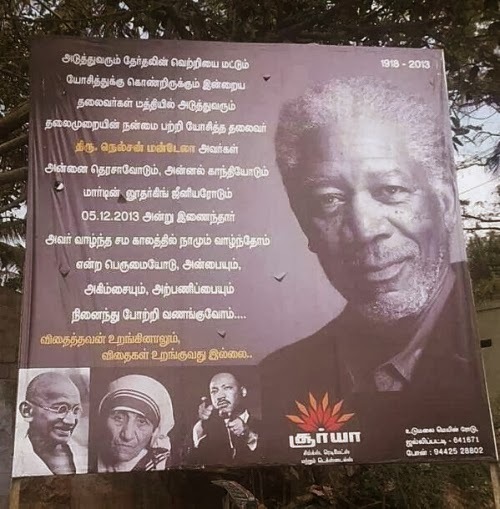 Unfortunately guess who turns up on the bill board - none other than the world's favourite narrator - Morgan Freeman.